There are many dangers associated with travelling the world. One can become a victim to illness, injury, crime or a myriad of other unforeseen tragedies. We've all heard about the infamous pickpockets of Italy who prey on unwitting foreigners as they gaze in awe at the ceiling of the Sistine Chapel, the frequent shark attacks along the Great Barrier Reef, the kidnapping of tourists in Mexico, and the frightening bird flu epidemic in China. And the media has terrified us with their relentless stories of plane crashes, tour bus crashes, airport shuttle crashes, helicopter crashes, lost luggage, stolen luggage, misdirected luggage, cancelled flights, overbooked flights, hotel fires, car bombs, volcanic eruptions, tsunamis, blizzards, capsized ferries, and insufferably rude Parisians. There is one danger, however, that is rarely reported. One of the least-known but most-insidious risks of frequent travel is the potential for the sojourner to become disenchanted. 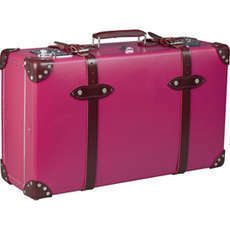 Without even knowing it, a traveler will trade her rose-colored glasses for a pair with an unbecoming jade-tinged hue. In other words, she becomes blasé. Her senses saturated with the spectacular sites she beheld, she becomes bored and difficult to impress. Let's face it, when you have stood in the shadow of the Eiffel Tower or scaled the Great Wall of China, Disney's Epcot can seem rather banal. Believe me, it causes me no small amount of shame to admit that I have become disenchanted with the most Magical Place in the World. If I am going to spend $6.50 for a beverage, I would prefer it to be a hot chocolate at a cafe in Bruges and not a Coke at the Plaza Ice Cream Parlor on Mainstreet USA. Before a horde of Mouseketeers write and accuse me of being a rodent hater, let me just say: I love Mickey and Minnie. 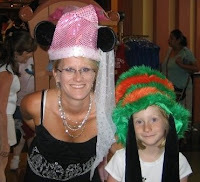 Indeed, some of my favorite vacation memories with my family are centered in the Magic Kingdom. That being said, I would take Tahiti over Typhoon Lagoon and Europe over Epcot any day of the week. So what's the anecdote? How can you stop yourself from becoming a world-weary, jaded traveler. I have gathered a prodigiously sized portmanteau full of precious, wondrous travel memories and I call upon them to remind myself of my many blessings and of the awesomeness of this world. I searched around in my trunk and found a dazzling one to share with you, my beloved reader. Several years ago, on a warm night in September, I sat in the gardens of Versailles and watched in awe as fireworks whizzed through the sky over the palace. The fireworks were the grand finale for the Fêtes de Nuit, a unique show that combines fireworks, classical music, light and water effects, and a legion of period-correct costumed actors to tell the story of a day in the life of the Sun King . I watched alabaster statues suddenly come to life and begin dancing as Lully's Baroque tunes echoed through the garden. And, finally, I watched the coucher du roy (the nightly rituals associated with putting the king to bed). By the time the fireworks exploded and the light from the strategically hidden lasers skipped across the waters of the Neptune Fountain, I was in a dream-like state. I felt as if I had traveled through time and was a special guest at one of the Sun King's soirees. It was with great reluctance, and the acrid scent of gunpowder still staining my nose, I joined the exiting crowd and reentered the world of modern day Versailles. I recently learned of a new Illuminations Display taking place on the grounds of Versailles. This one is dedicated to Marie Antoinette and is held in le Hameau, her private, rustic retreat near the Petit Trianon. How I would like to witness this spectacle. Unfortunately, my funds are limited so I will have to content myself by watching the video below. I hope you enjoy the video and have a Marie Christmas! Your experience at Versailles sounds incredible! I think your advice is spot-on--and not only for travelling, but for everyday. How much easier is it to duck our heads and shuffle along instead of looking up to take in a little wonder of a sunrise or a snowfall? Great post! Thanks for sharing your soul and what we are meant to take from this journey on earth. I really enjoy your writing, Leah! I haven't traveled the world, yet I'm still jaded about Disney Land. I don't want to take my children there. I'd rather take them to the beach or a walk in the woods. I went to Disney Land numerous times as a child, and I loved it then, but my best memories are not of that place with all its long lines and thrill-seekers, etc. You must write a travel book. MUST! Thank you for all of the wonderful, encouraging comments. I am glad you like my writing. Tiffanie - Your complement really touched me. Thanks. Veronique - I am glad you have such faith in my "mad writing skills" - perhaps travel writing is in my future (outside of this blog). ANY EDITORS OUT THERE WANT TO HIRE A TRAVEL WRITER FOR CHEAP? WILL WRITE FOR AIRLINE TICKETS AND MODEST ACCOMODATIONS.